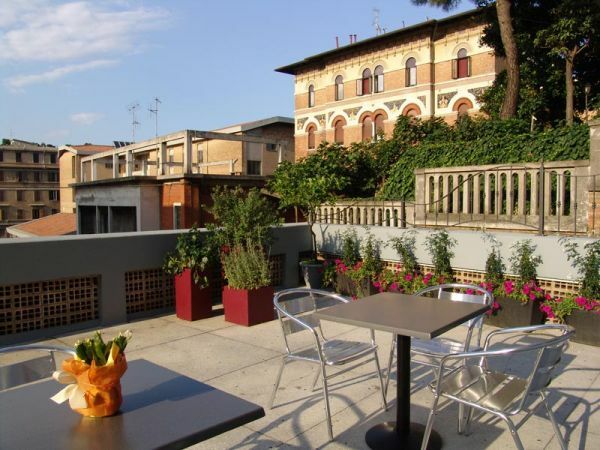 Site in the center of Ancona Hotel Milan and ‘the ideal point of departure for a stay. The comfort, the atmosphere, the efficiency of services, receive the best tourist and business traveler and the most ‘demanding. Houses since 1954, with 14 single, double and twin rooms. Completely renovated offers guests a bed and breakfast buffet in the new atmosphere and welcoming. The spaciousness and comfort of the rooms are the elements that have always characterized the Hotel Milano. Each room is equipped with all comforts as bath room, air conditioning, color satellite TV, direct telephone and wireless network. walk to the center of Ancona, with its countless shops and boutiques of the most important, all along the Avenue can be reached then the Passetto.E ‘can also go and visit the prestigious Teatro delle Muse, the Cathedral of Ancona and the port. The hotel was designed and built for the demands of the modern businessman. The 14 rooms offer a comfortable and exclusive stay. Inside the hotel there is an atmosphere of light and soft, thanks to the essential areas in their spacious and modern but not forgetting comfort. We are therefore certain to say that once you stay at Milan will remain in our hearts.